Learn about both the theory and practical aspects of coaching, discover how to prescribe and deliver exercise programmes and gain outdoor recreation and leadership skills. You’ll also learn about human anatomy, nutrition and health, and gain skills in research, analysis, problem solving and critical thinking. It’s the start of your pathway into the sports science industry. All credits gained in this programme can be used towards the Bachelor of Sport and Recreation. This qualification will provide you with the knowledge and skills needed to operate independently, supervise others and work with stakeholders across the sport, recreation and exercise industries. Graduates will be able to operate within a framework of health and wellness in relation to individual, group and community needs. Graduates will contribute to the cultural, social and economic wellbeing of Aotearoa New Zealand. Integrate knowledge, concepts and trends from across the sport, recreation and exercise industries to inform professional practice. Plan, monitor and role model safe, ethical and professional practices and procedures for self, others and organisation while operating within sport, recreation and/or exercise environments. Lead and manage a range of tasks and activities within own scope of practice to achieve sport, recreation and exercise outcomes for individuals, groups and/or communities. Supervise others to ensure safe, ethical and professional practice and procedures in sport, recreation and/or exercise settings. Apply concepts and theories of exercise science to develop health and wellness solutions to meet the needs of individuals, groups and/or communities. Develop, coordinate and evaluate the delivery of a range of sport, recreation and/or exercise activities, programmes and/or events to meet the needs of individuals, groups and/or communities. Aim: Students will learn the terminology and fundamental principles of anatomy, physiology and nutrition as they relate to sport, exercise and fitness. Describe the physiological process of nominated organ systems and their response to sport exercise and fitness. Describe and explain musculoskeletal movement to show understanding of sports injuries. Apply concepts and themes of exercise science to developing health and wellness solutions. Structure and function of musculoskeletal cardiovascular and respiratory systems. Fundamentals of musculoskeletal sports injuries. Introduction to metabolism and energy systems in sport and rec. Developing and evaluating health and wellness solutions. Aim: Students will develop knowledge and competencies required for effective skill and technique learning and teaching across a range of exercise sport and recreational activities. They will apply testing protocols to assess in a practical setting. Design appropriate skill learning activities in an exercise sport and/or recreation setting. Analyse and facilitate a learner centred environment appropriate for exercise sport or recreation activity. Demonstrate understanding and application of learning theories and skill acquisition in a variety of situations. Identify and apply appropriate communication skills for working with people in an exercise, sport or recreation setting. Aim: Students will develop skills for planning sustainable and innovative programmes within exercise sport and recreational experiences. Explain how the principles of planning, innovation and sustainable programme development can be applied within sport and recreation. Plan and problem-solve within a relevant exercise sport or recreation context. Demonstrate effective communication and leadership styles and skills to achieve a specified outcome. Develop a range of performance indicators and goals and evaluate against them. Aim: Students will discuss and implement the principles of communication, academic computing skills, knowledge construction, academic and scientific literacy and writing. Develop a line of enquiry using an appropriate research approach. Review a range of academic literature in sport, exercise and recreation. Demonstrate academic integrity in writing and presentation skills. Demonstrate appropriate academic writing and computing skills. Aim: Students will review the sport and recreation industry in Aotearoa New Zealand. They will examine the roles and relationships of key sport and recreation organisations and sectors. Investigate the sport and recreation industry in Aotearoa New Zealand. Analyse inter-organizational relationships within the context of the sport and recreation industry in Aotearoa New Zealand. Demonstrate the ability to think critically within the sport and recreation industry context. Analyse knowledge concepts and trends from across the industry to inform professional practice. Aim: Students identify and understand human anatomy and physiology and the application to human movement, nutrition, energy systems and injury management. Demonstrate the use of terminology relevant to human anatomy and physiology. Describe the structure of human tissue and the gross anatomy of major organ systems. Integrate knowledge of physiology into exercise and sport, health and wellness. Describe physiological processes of major human organ systems including the role of homeostasis in maintaining their integrity related to nutrition and exercise. Provide and manage first aid in an emergency situation. Aim: Students will examine the key leadership concepts needed to effect change in the context of sport, exercise and the outdoors. Explain the significance of self-awareness in leadership. Discuss contemporary, bi-cultural perspectives of leadership in relation to sport exercise and recreation in Aotearoa New Zealand. Describe and analyse leadership roles and responsibilities relevant to the prescribed sport, exercise or recreation workplace practice. Aim: Students will examine the nature and place of sport, exercise and recreation in Aotearoa New Zealand society from a sociological perspective. Discuss and interpret contemporary issues in sport and recreation. Examine the historical, social and bicultural and multicultural influences affecting the sport exercise and recreation industry in Aotearoa New Zealand. Demonstrate understanding of the impact of values, principles and purpose on ethical decision-making processes and outcomes. 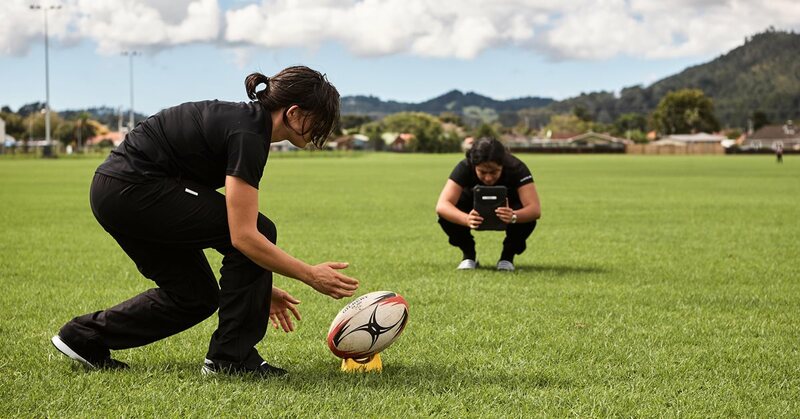 Analyse the influence of the education system in New Zealand on the development of sport and exercise and recreation and apply this knowledge to a coaching delivery experience. Skills relevant to working with people in current society. Lectures, tutorials, workshops with independent study and flexible learning strategies - Face to Face, Distance (Online), and Blended. Self-directed learning activities may include, but are not limited to: completion of video and assessments, group work, research, and current issues awareness. This qualification could lead to employment (paid or volunteer) in a variety of roles such as: event supervisor; exercise consultant; hauora or health educator; Kaiarahi; OSCAR leader; recreation supervisor; recreation programme coordinator; sport development officer; sport coordinator; Whānau Ora leader. All students are expected to bring their own Internet capable device. (B.Y.O.D.). This can be any type of hardware that is able to connect to the Internet. Devices include iPads, laptops, Mac’s, PC’s tablets, or smartphones. Although any device can be used we recommend the purchase of a non-cellular iPad Air (32GB) with a Griffin Survivor protective case (minimum specifications, you can buy a newer model). Please contact dclark@northtec.ac.nz for further information. 48 credits NCEA level 3 across 4 subjects or equivalent. No academic qualifications are required. Evidence to support an applicant’s ability to undertake the Programme with a reasonable likelihood of success may be requested. All applicants must have a level of English sufficient to be able to study at this level. Those students whose first language is not English must have an International English Language Testing System (IELTS) overall academic score of at least 6.0 with no band score lower than 5.5; accepted international equivalence issued within the last two years, or a qualification considered to be equivalent to the above. In exceptional circumstances, an applicant who does not meet the entry requirements may be granted entry to the Programme where they supply evidence to satisfy the programme’s Academic Leader or delegate of their ability to succeed on the Programme. All applicants are required to authorise a Police Check for criminal convictions and disclose any pending charges.